Situated between Dallas and Austin, the city of Waco is home to three major colleges, seven recreational venues, nine arts organizations, and five of our favorite historical sights. Whether you’re fascinated by Victorian architecture, or you can get enough Ranger trivia, you’ll find a good reason to make the trip to Waco on our list. The first suspension bridge to span the wide Brazos River, this family-friendly attraction allows visitors to step over the open water and experience history first-hand. Just past Killeen in Lampasas, the Keystone was originally a stagecoach stop and inn built from native stone and once home to some of the area’s first settlers. Located on the Waco River Walk, Branding the Brazos is a public sculpture display that evokes memories of cattle drives of old. Just down the road past Temple, the historic San Gabriel Masonic Lodge in Georgetown hosts regular meetings and public events such as car shows, golf tournaments, and more. No trip to Waco would be complete without a visit to the Ranger Museum. Here, visitors can delight in more than a century of art, history, and representations of the Rangers in media and popular culture. Waco has much to offer visitors, from the stunning vistas to its rich history filled with exciting tales of discovery. 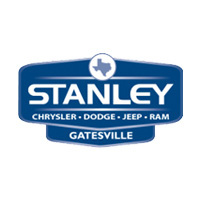 If you’re looking for a way to get there in style, or you just want more information about the area, contact Stanley CDJR in Georgetown. We’re happy to help.